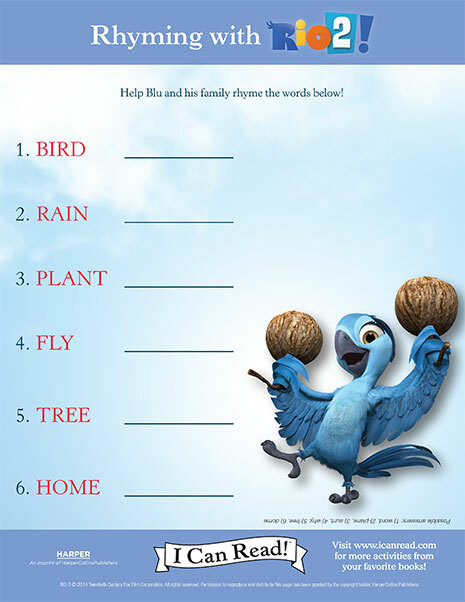 Help Blu and his family rhyme the words. 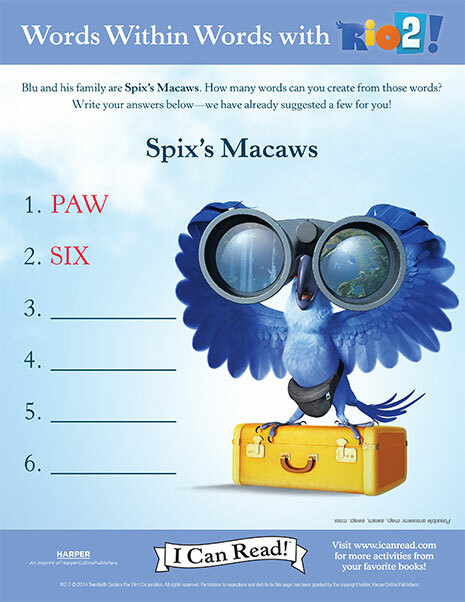 Blu, Jewel, and their kids go on a big trip! 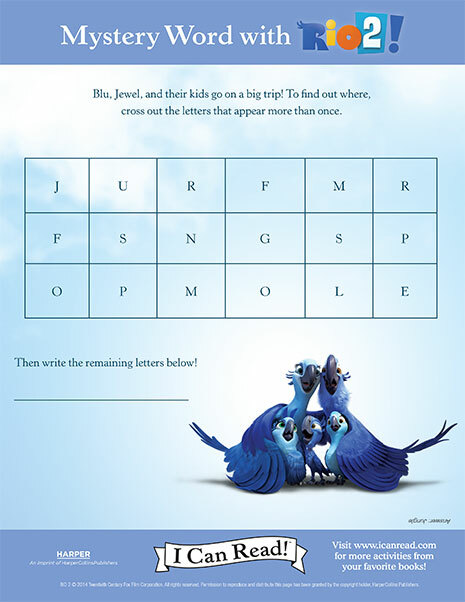 To find out where, cross out the letters that appear more than once and reveal the mystery word. 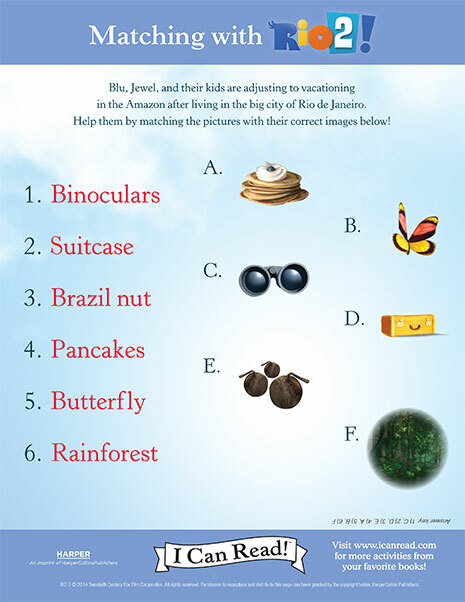 Blu and Jewel visit the Amazon rainforest, but it’s not quite like life in Rio de Janeiro! 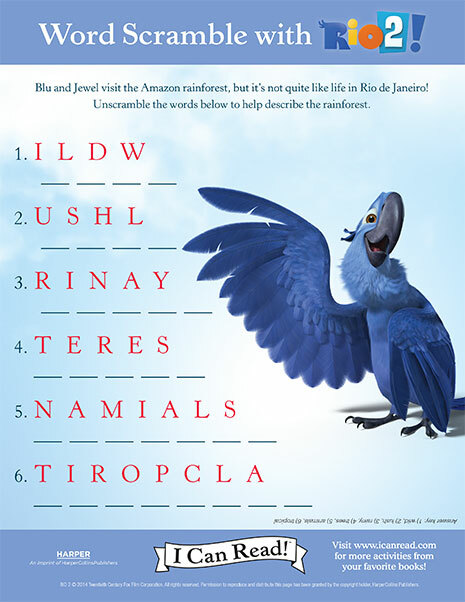 Help describe the rainforest by solving this word scramble.